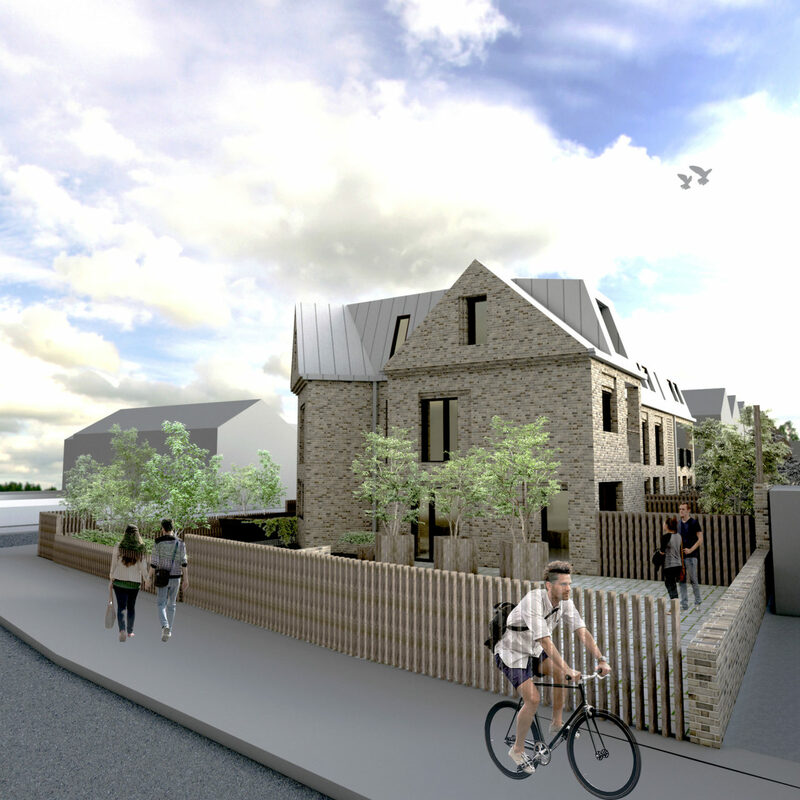 The proposal is for this West London housing project is on a site currently occupied by a single family unit with 5 bedrooms with a large garden to the rear. 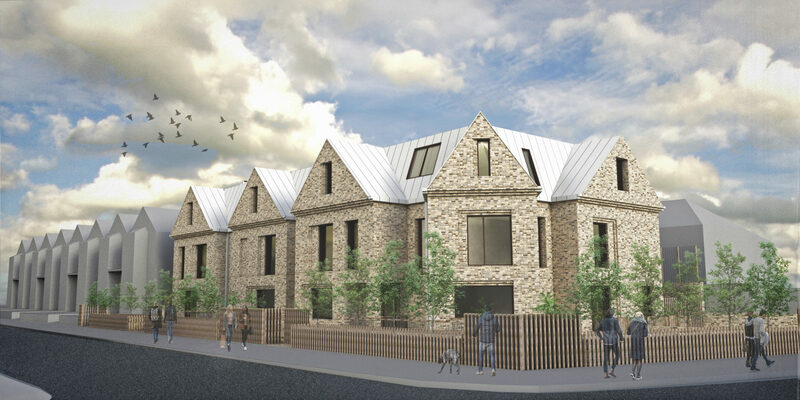 This proposal is for a new, high-quality multi-dwelling residential scheme of appropriate scale and density. 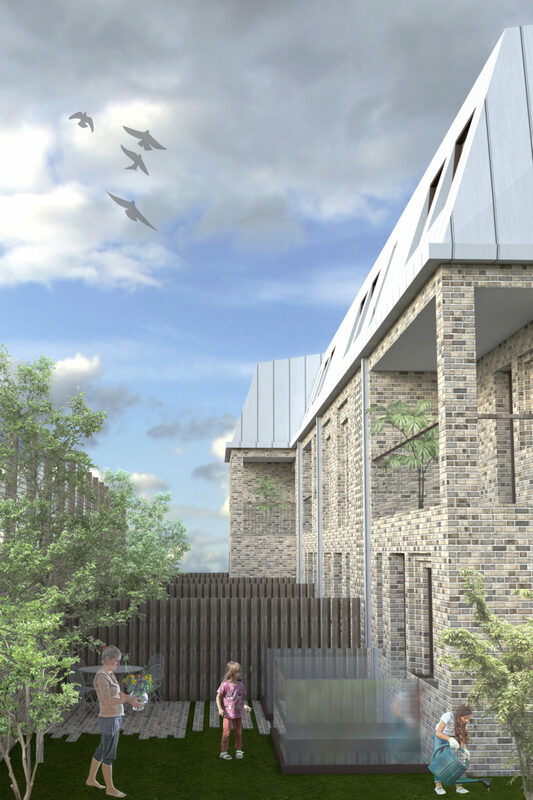 The development provides nine residential dwellings, each with its own private amenity space, varied dwelling size and aspect, biodiversity benefits, and onsite parking. The approach to the design is contextual with the aim of enhancing the streetscape while providing additional residential units. The design respects the roof line of the existing terrace houses in the adjacent residential streets and creates a better feel to the end and corner of the street. 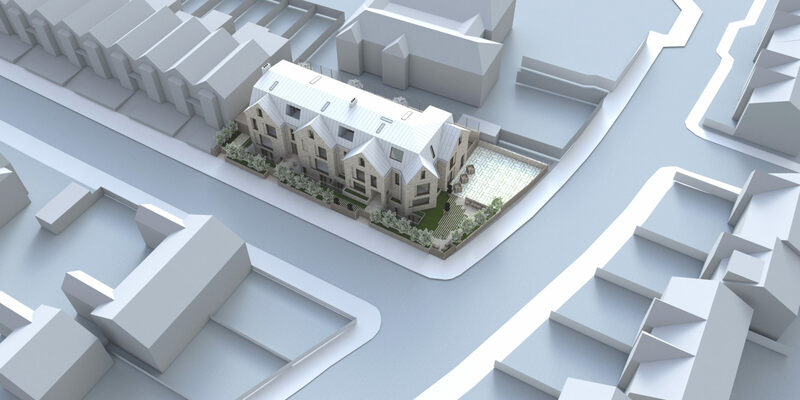 Although the new block is designed to accommodate residential flat typologies, the design has been carried out with reference to terraced housing rather than block of flats in order to fit better with the streetscape and overall feel of the suburban neighbourhood.